Coalition for Jewish Values criticizes group which barged into, attempted to shout down Jewish, Kurdish, and Armenian event. 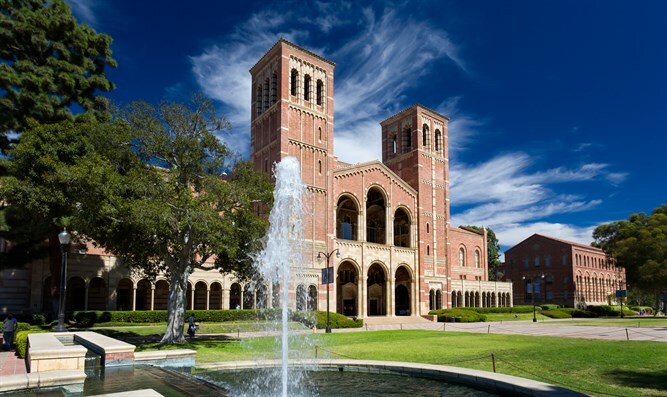 The Coalition for Jewish Values, a group representing over 1000 Orthodox rabbis in matters of public policy, compared the behavior of UCLA students who disrupted a Jewish event in May to that of the Nazi Sturmabteilung (SA), the storm troopers or "brownshirts" who disrupted Jewish and other opposition events in the 1930s, in a letter to Los Angeles Assistant City Attorney Spencer Hart. The letter warned that "a failure to prosecute this case could release the floodgates for further acts of intimidation and hatred directed against Jewish students and others." On May 17, the UCLA student group Students Supporting Israel (SSI) hosted an event called "Indigenous Peoples Unite," in which representatives of the Jewish, Kurdish and Armenian communities presented their unique stories, highlighting the fact that these groups, according to SSI promotional literature, "are often ignored when speaking about indigenous history." As seen on video, students enter roughly 40 minutes into the talk, chanting, blowing whistles, tearing down flags and throwing placards. It took UCLA police nearly seven minutes to remove the agitators, who continued to bang on the door and chant outside in order to intimidate participants and prevent further discussion. The City Attorney is currently considering whether to prosecute those responsible for charges including disturbance of an assembly or meeting, battery, vandalism and criminal conspiracy. "As our letter says, disruptions of this nature constitute mob suppression of free speech," said Rabbi Pesach Lerner, President of the CJV. "This is how you prevent dialogue, and prevent persecuted minorities from having a voice. This is chillingly reminiscent of dark chapters in world history, and the City Attorney must act to prevent this behavior from flourishing in America." In the letter, the CJV said that they "decry frequent, false comparisons to reviled Nazis," but then pointed out that one of the student chants called for ethnic cleansing and a return to a "war of extermination and momentous massacre" initiated by the Arab League against Israel at its formation. "It's quite simple to avoid being compared to Nazis," said Rabbi Yaakov Menken, Managing Director of the CJV. "All you have to do is not act and incite like Nazis." The letter also explained that this was not the only way in which the student behavior mirrored Germany in the early Nazi era. The claim "that the people of Israel are illegally stealing the property of others and taking advantage of non-Jews" was the pretext for the Nazi boycott of Jewish businesses, just as it is the pretext for the movement of "Boycott, Divestment and Sanctions" against Israel today -- and the same Nazi SA that disrupted events also led boycott activities. "We will leave it to others," concluded the letter, "to explain why they feel the comparison is anything less than apt."